at Panggung Negara, Singapore, 1965. 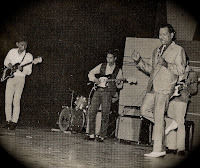 When Cliff Richard and The Shadows came to Singapore to play at The Gayworld Stadium in 1961, garage bands spruced up all over Singapore to emulate the acts and that event spelt the beginning of a new band set up. Instrumental bands such as The Swallows saw the need for a front-man to take centre stage; akin to what the local audience saw when Cliff Richard fronted The Shadows. During that formative period, popular culture from the west was slowly gaining momentum to spread the band craze among pre-teens and teenagers in Singapore. Heavily influenced by American and British instrumental rock bands, in particular, The Ventures (U.S) and The Shadows (U.K) which began their formation in 1958, The Swallows were joined by Yahaya Galib and Hamid Ba'ahs to record instrumental songs - one of which was called Senandung Malam (Lover's Star) that was composed by the legendary P. Ramlee. 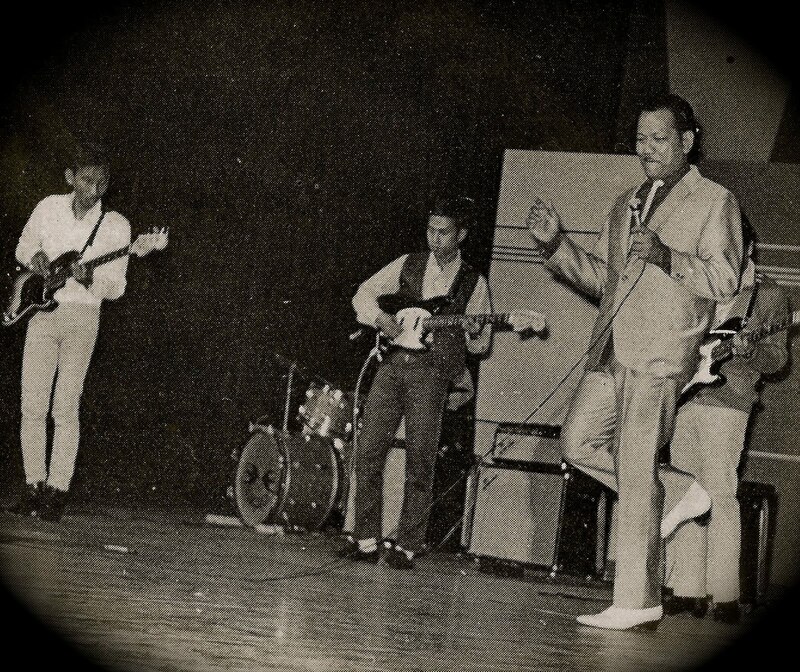 The Swallows were a resident backing band at Panggung Negara (National Theatre of Singapore) and fronted popular names such as Rafeah Buang, Andy Young, Ahmad Jais, M. Bakri, Sanisah Huri, Ahmad Daud and P. Ramlee. Later on, during the mid 60s, The Swallows took on a more permanent front-man which gave them a hit song entitled 'La-a-Obē'; a Baweanese song which is still popular today. The song proved to be a timely hit on both sides of the causeway since the departure of a popular crooner by the name of Ahmad Daud.